I have made this recipe two ways, as a cold “salad” with avocado and warm without the onion and avocado. I like it both ways, but I think warm is my favorite. 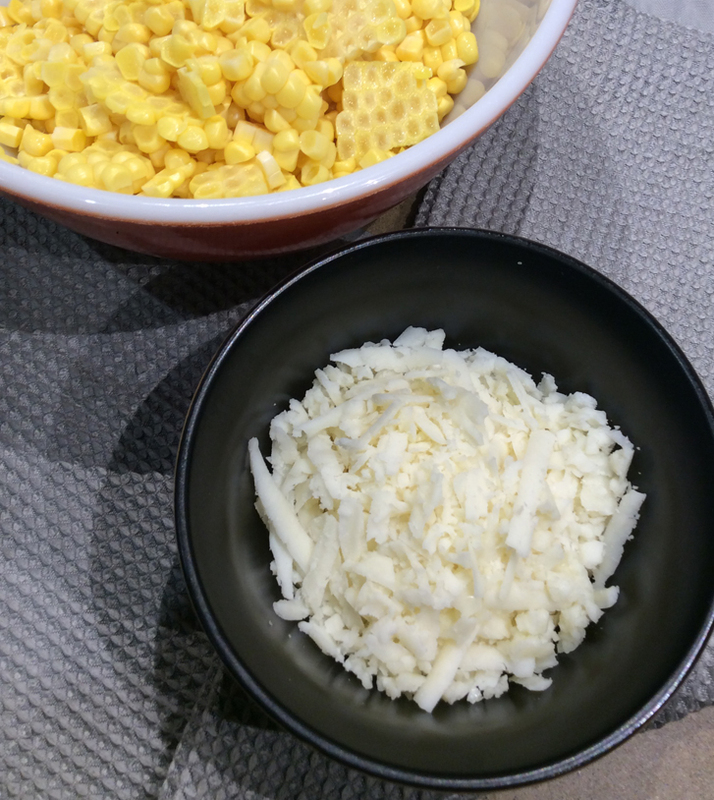 If you don’t have the Cotija cheese you might try feta or other tangy cheese. I think this is best with fresh corn, but if it is out of season (or you don’t feel like messing with fresh corn) Trader Joe’s makes a frozen roasted corn which might be a good substitute. 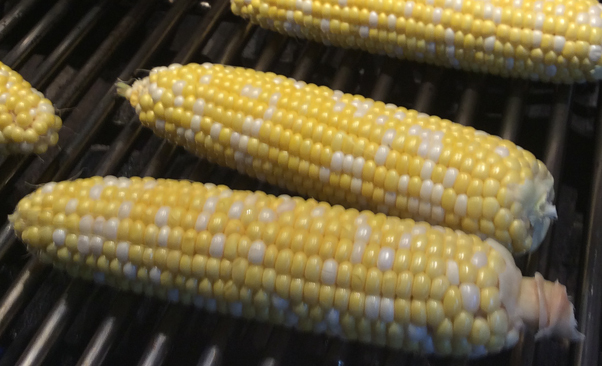 You can also grill the corn if you want a little more of the char on the kernels. 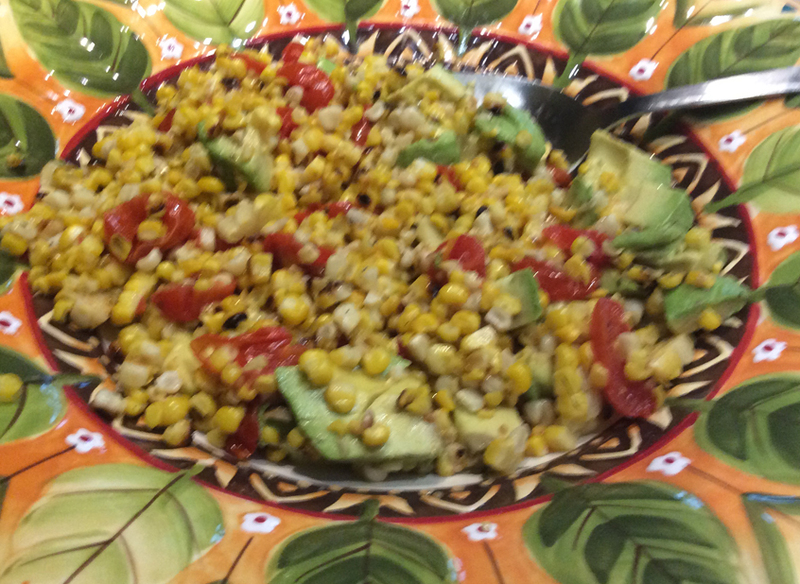 This makes a great side dish for Mexican food, grilled meat and veggies or any kind of cookout. 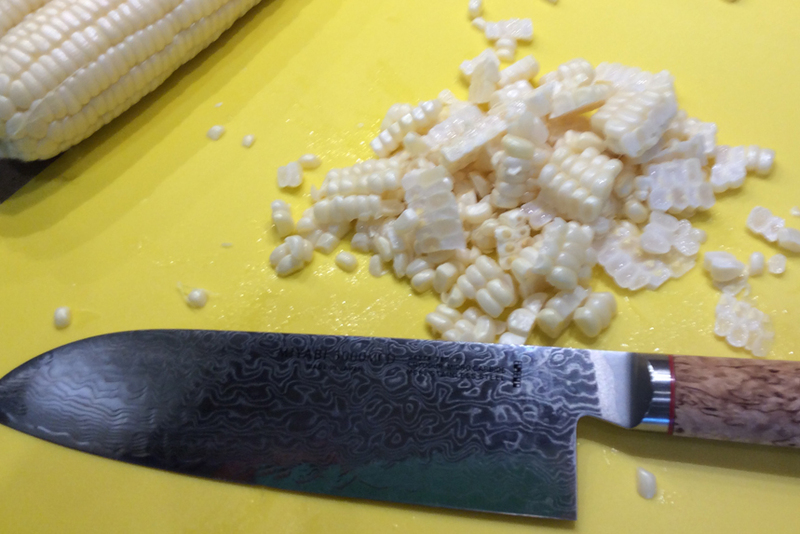 Shuck corn and slice kernels off the cob. 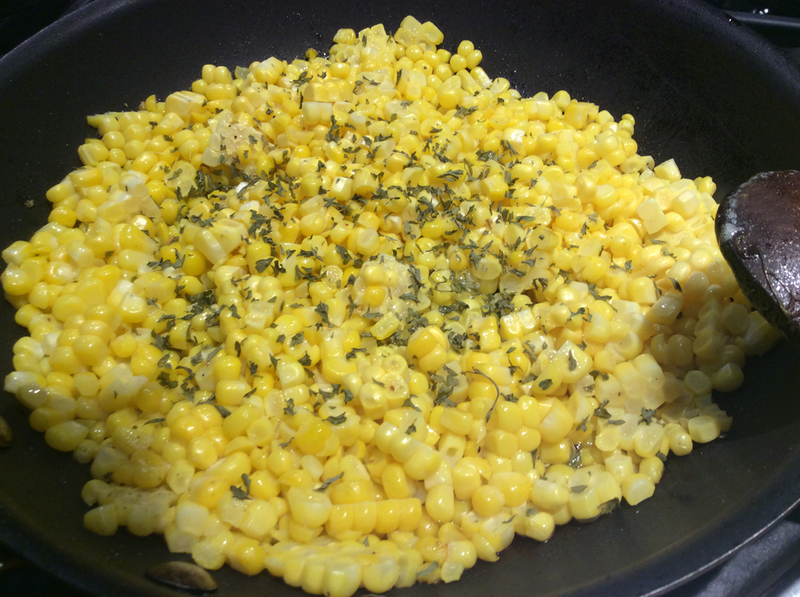 Heat olive oil in a large pan or skillet over medium-high heat and cook corn until semi-charred on all sides. About 8 minutes. 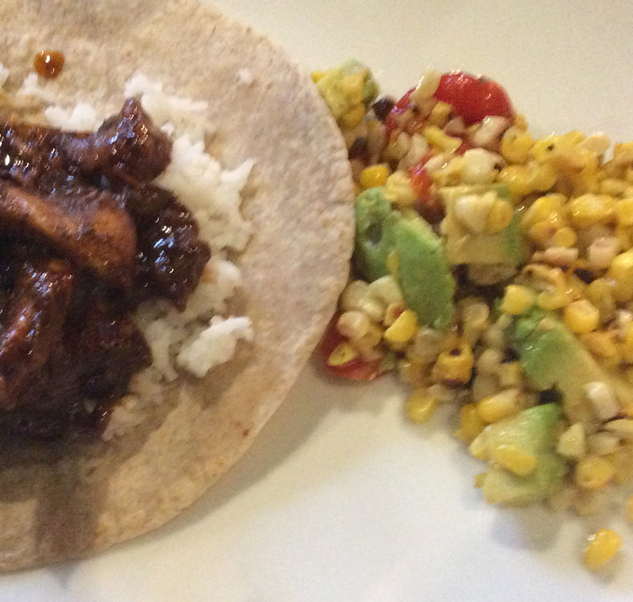 You can also grill the corn for a more authentic Mexican street corn flavor. 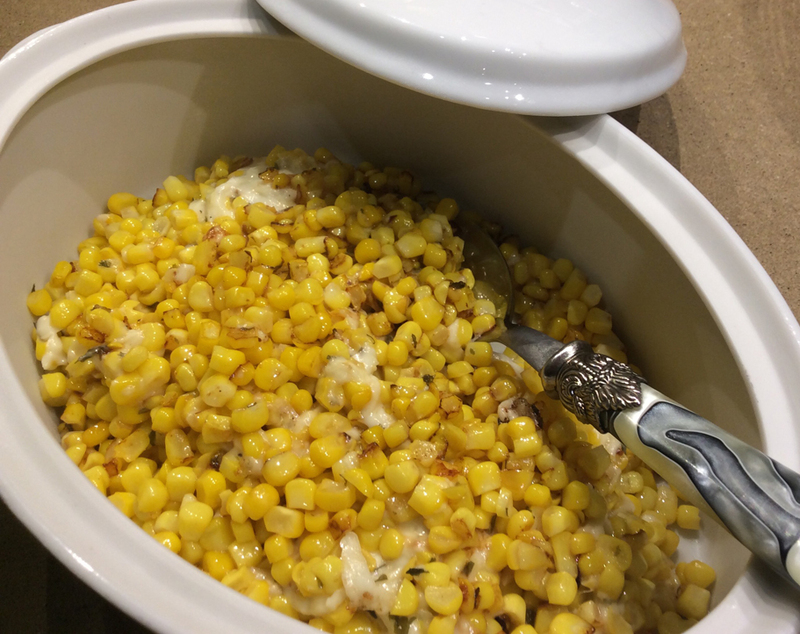 While the corn is still warm, add the cotija cheese and toss until cheese is slightly melted. You can serve it warm at this point. Add red onion and parsley, then mix in chili powder, lime zest and juice, and mayonnaise. Refrigerate at this point if not serving immediately as the avocados will turn brown. Toss everything together until evenly coated, then taste and adjust seasoning, if necessary. This was also good with roasted grape tomatoes added.